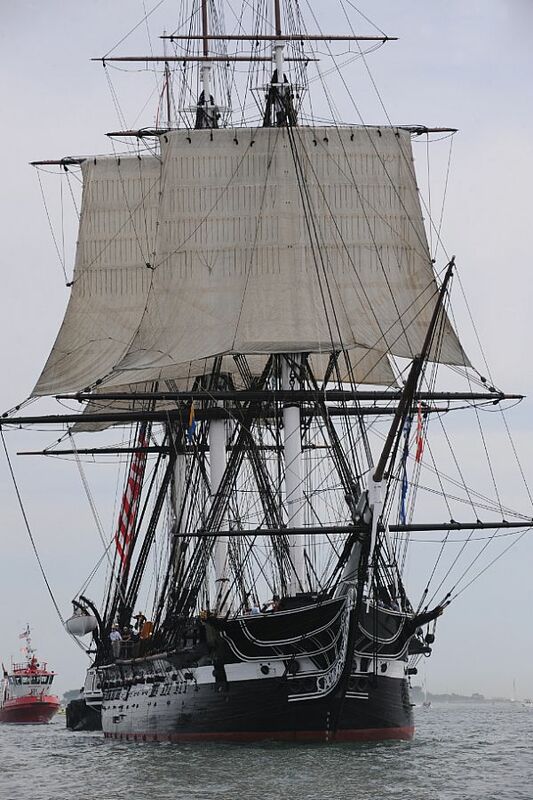 This past Sunday marked the 200th anniversary of USS Constitution’s victory over the British frigate HMS Guerriere. 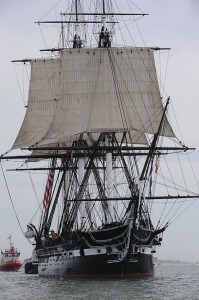 During the battle Constitution earned her nickname “Old Ironsides” when enemy cannonballs bounced off of her oak hull. In honor of the event, the old ship sailed under her own sail power again on Sunday, making it only the second time she has done so in the past 116 years. It takes a lot of upkeep to keep a modern boat in good sailing shape, but make that boat 200+ years old, construct her of wood, and soak that wood in water for two centuries, and you can imagine how much of an achievement it was to get the old girl underway once more. USS Constitution and her battle with the Guerriere was one of those major naval milestones for the United States (much like USS Monitor’s encounter with CSS Virginia during the Civil War), and after a visit to the ship herself in Boston when I was a child, it was a major formative milestone for me as well. While I’ll always attribute (blame?) my reading of WWII history with my decision to join the Navy, looking upon that old frigate floating in Boston Harbor, with her taught rigging and restored woodwork, also surely influenced that decision. It also showed me that while warships are built to do dirty and sometimes horrible work, they can be beautiful. With museums and museum ships in dire straights in this economy, it’s great to see USS Constitution still doing well — and the only reason for her success is that she’s still a commissioned warship with the Navy. If you ever get a chance to visit her, do so. **A side note: I just returned from the post office and found a sheet of USS Constitution stamps, released this past Sunday on the anniversary date.